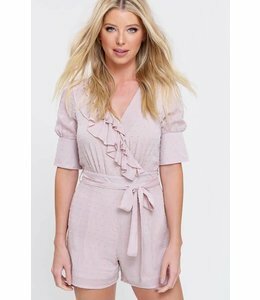 A comfy, casual romper with a drawstring waist and criss-crossing straps. 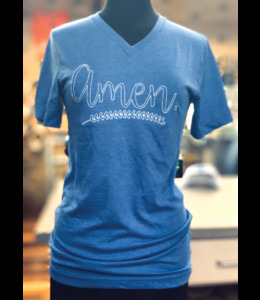 A V-neck tee featuring the text "Amen" embroidered on the front. 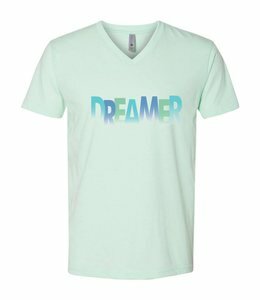 A simple V-neck tee with the stylized text "DREAMER" across the front. 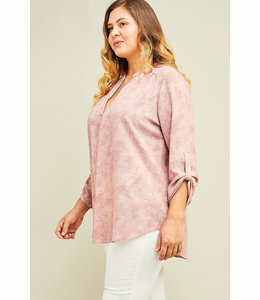 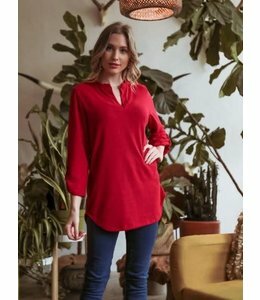 A simple red tunic top with 3/4-length sleeves and a notched neck. 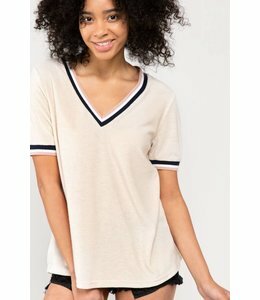 A knit tee with retro-inspired stripes along the edges of the sleeves and V-neckline. 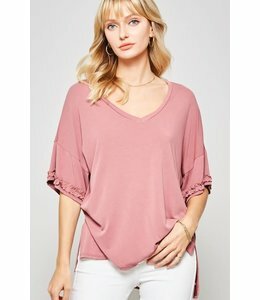 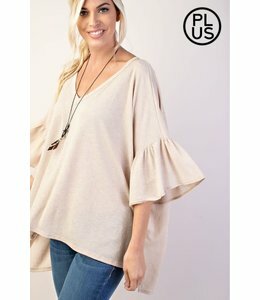 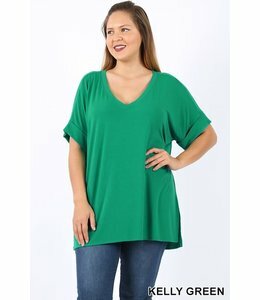 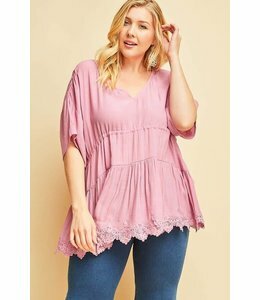 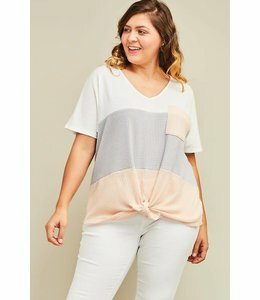 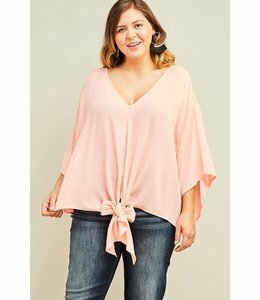 A V-neck T-shirt with a pocket edged with fringe. 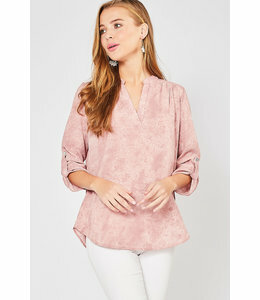 A wrap detail romper with ruffles across the front, short cuffed sleeves, and a dotted texture. 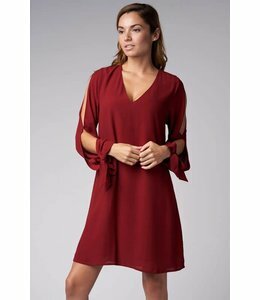 A short, red dress with a V-neck and long, slit sleeves that tie at the wrist.